Gregory Brindley: Photography was the first artist spotlight exhibition at The Art Hall, and was organized by guest curator Helen Opper in the summer of 2016. Gregory's group of photographs complimented other artwork by Oklahoma artists that was already on the walls of The Art Hall. 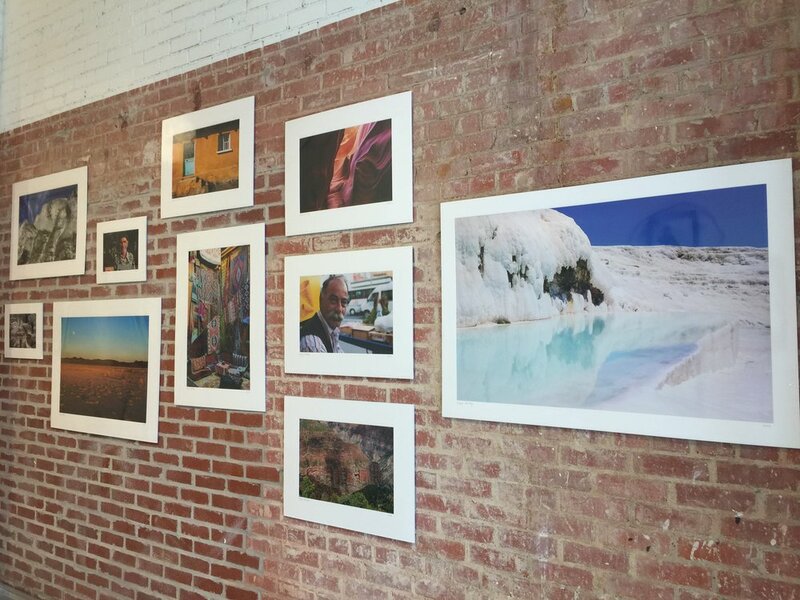 This spotlight exhibition presented recent landscape, street, and travel photography by Oklahoma City artist Gregory Brindley. Three distinct bodies of work were sampled and exhibited: the West, Antelope, and Turkey series. West is composed of photographs taken in national and state parks in the Western United States, including Yosemite National Park, the Grand Canyon, and Zion National Park, among others. Antelope features images from Antelope Canyon, a naturally formed slot canyon located on Navajo land in Arizona. Turkey reflects on Gregory’s travels through the country of Turkey and includes portraits, landscapes, and interior scenes. While these series were not originally intended to be grouped together, the selections from these series work with and complement each other, both stylistically and aesthetically, and when considered collectively, they function as a study on engagement, immediacy, and the effects of the passage of time on both people and nature. Gregory and the curator have known each other for more than 20 years and were excited to collaborate on this project. They have continued working together to develop bodies of photographic work since this show. Gregory Brindley: Photography was on view from June through September of 2016. More recent work of Gregory's was featured in the 2017 Inaugural Group Exhibition.